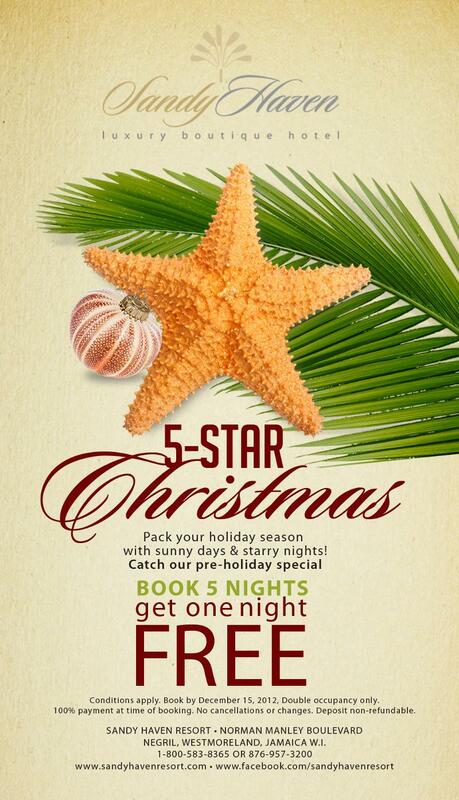 Sandy Haven Resort : Five Star Christmas Special! This luxury boutique resort is located Negril, Jamaica. 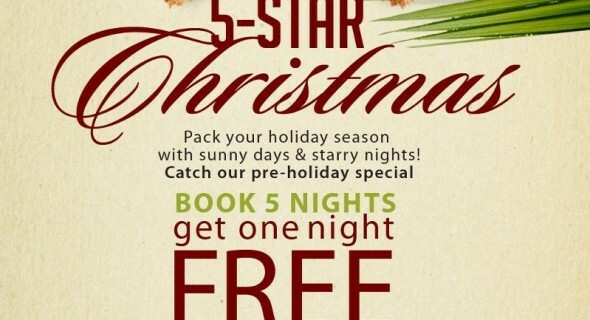 Book a double occupancy room by December 15, 2012 and you can stay for six nights at the five night rate!